The woods annual rings have the same relevance in violin building as they do for other artisans. 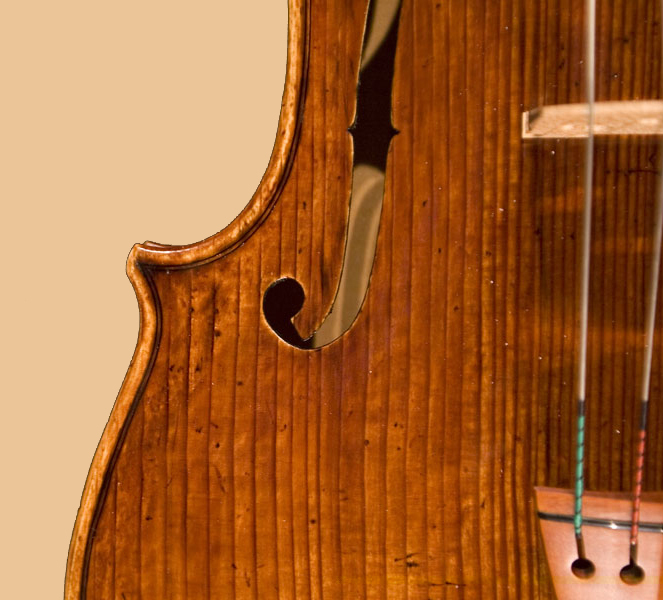 This has a special meaning when it comes to spruce, which is used for the belly in violin building. The various colored annual rings are clear to see here. The tree grows slowly in the winter or not at all, these being the dark rings which are also very hard. The softer and lighter rings, on the other hand, are the ones which are formed in the summers. With maple one has to pay close attention, as well, although these differences in color and density are not nearly as pronounced.